The last book I can remember reading that had such an impact on me was in my later university years. I read a young adult version of the biography of Jim Elliot, a missionary martyr to Ecuador. His life and faith were an inspiration as I worked out my faith during my university years and spurred me into the world of missions. That was over 10 years ago now. So it seems very few books I read spur me into greater action and reflection. Most books invite me into the story and may give good information about a particular person or period. But I can’t think of more than a handful of books I’ve read that spur me into action and greater obedience to God. 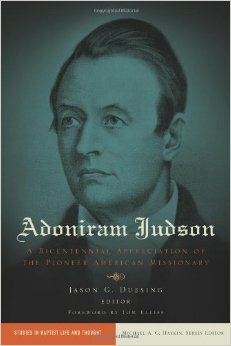 But the book Adoniram Judson: A Bicentennial Appreciation of The Pioneer American Missionary by Jason G. Duesing, is one of those books. This book isn’t written by one author. We could say it’s a collection of essays combined to give an excellent picture of Judson’s life and ministry. The book goes deep into his early life, his Christian life, his missionary life, his married life, and the influential life he led. It is a wonder as to why I hadn’t previously read a book about Judson. He is highly esteemed, particularly by those in America and the missions world. He is recognised as the father of American missions. The little I previously knew was from John Piper’s biographical message on the man from 2003. Yet in this written volume, with references to his and his wives’ journals and letters, there is a terrific account of this “mighty man”. Three main areas I saw highlighted in the book were Judson’s faith in the sovereignty of God, endurance through suffering, and commitment to long-term missions service. The faith Judson and his wives’ had in God is simply an inspiration. But all four individuals were wholeheartedly followers of Jesus Christ and sought to be obedient to His call, wherever that led. This begins with the conversion of Adoniram Judson soon after hearing one of his good friends from university die in the room next to him. He literally heard this man passing away during the night and upon finding out who it was the next morning was thrown into turmoil about his own soul. Judson sees the light and the graciousness of God through his Son and clings to the cross for forgiveness and salvation. He realises that it is only the cross that can bring true salvation. The trust he has in God at this early stage is evident. The way God’s hand guided him from being the son of a Congregationalist minister into atheism through university and then into a living, vibrant, and heartfelt faith when he was 20 years old is clearly seen. God’s sovereignty is at work. With this as the banner of his life he pursues a life that will count. He seeks to see others come to know God through his Son, so that they too may see salvation through the cross. I have now to ask, whether you can consent to part with your daughter early next Spring, to see her no more in this world; whether you can consent to her departure, and her subjection to the hardships and sufferings of missionary life; whether you can consent to her exposure to the dangers of the ocean; to the fatal influence of the climate of India; to every kind of want and distress; to degradation, insult, persecution, and perhaps a violent death. Can you consent to all this, for the sake of him who left his heavenly home and died for fer and for you; for the sake of perishing immortal souls; for the sake of Zion, and the glory of God? As they travel he trusts God’s plans as they make the controversial but convicted decision to become Baptists after studying the scriptures. In the four months from leaving the American shores he and his wife Ann see the truth in Believer’s Baptism and are baptised themselves by colleagues of William Carey in India. In his first marriage with Ann, and consequently the ones following, the sovereignty of God is central to their faith and obedience. What inspiration and trust in the Lord! Added to this is the ridicule he received from the local Burmese. It took seven years into the work before the Judson’s saw a convert. The constant health issues and lack of ‘success’ in the conversion of the people he sought to reach, and the death and disease he saw drove him to leave the main town he was living in and live by himself, in the jungle, sitting and staring into a shallow grave he had dug. Thankfully it was the years after this that Judson saw the fruit of his work but the suffering had an effect, as one could expect. The commitment of Judson and his wives’ have had a lasting impact on the lives and ministry of those who have gone after him. Their service of nearly 40 years, with one furlough back to America, is something to behold in the modern day. I understand that this was a different era, but the long lasting commitment of Judson and his wives attest to the fruit from long-term service. As mentioned, they didn’t see a convert for seven years. They experienced great suffering in their own lives and also saw it among the people they served. Yet, they continued to work in building relationships and translating the Bible into the native tongue of the Burmese. To this end Judson had a commitment to being contextual in everything and learn the culture well. This led Judson to be a communicator in word and deed. 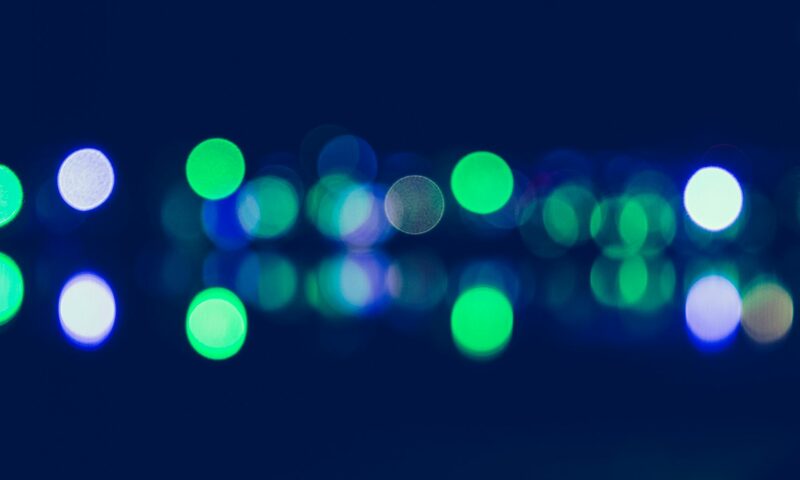 Alongside the work of translation was the contextual approach to being a witness for Christ. We agree in the opinion that our sole object on earth is to introduce the Religion of Jesus Christ into the empire of Burmah; and that the means by which we hope to effect this are translating, printing, and distributing the Holy Scriptures, preaching the Gospel, circulating religious tracts, and promoting the instruction of native children. Cross-cultural communication of the gospel was the Judsons’ heartbeat. Jusdon understood that translation work could commence more quickly in Burma that in some settings because, as Wayland surmised from Judson’s letters, “The Burmans are reading people. They have their religious books, and possess the teachings of Gaudama in their own language.’ However, Judson prioritised proclamation, “The press can never supplant the pulpit’. Much more could be said. The book is well worth a read and some days spent in reflection of it. It was an inspiring read and one that made me think about my commitment to Christ and the way in which missions is currently done.